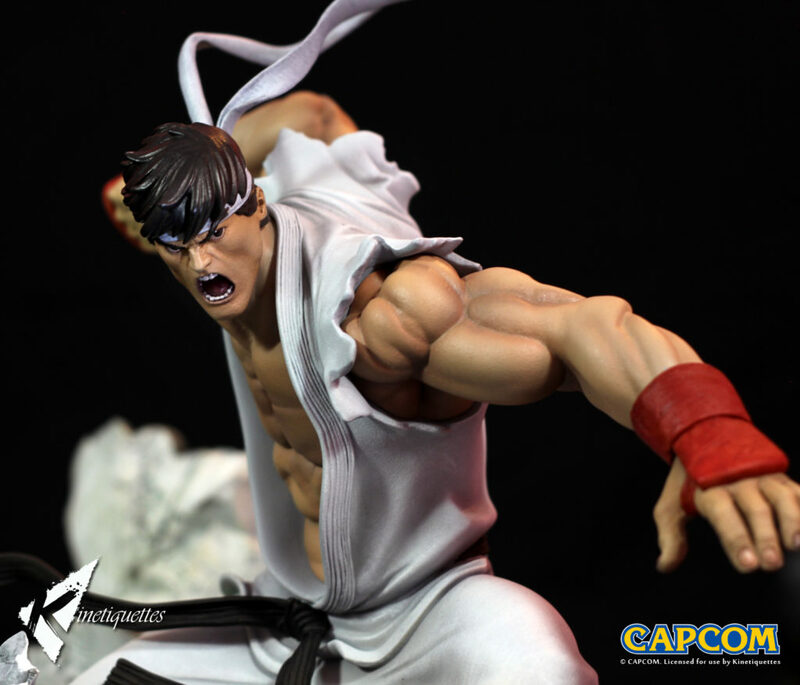 Ryu Pre Orders are Live! The second challenger of the Battle of the Brothers diorama is here! One of the most iconic faces of the fighting games industry now joins Kinetiquette’s dynamic line of dioramas. The Battle of the Brother project welcomes it’s second challenger, Ryu! Channeling all his inner strenght to deliver his Shoryuken signature move, Ryu’s pose was designed and engineered to match Ken Masters (and Gouken and Akuma, in the future) in a fight scene. Posted in Products and tagged battle of the brothers, ryu, street fighter.